Chromecast is a great little dongle for playing videos through your TV from a smartphone or tablet, but it can't play every format you chuck its way. Supported formats such as MP4 and WebM won't give you any difficulties when playing through Google's digital media player, but others will. We will show you how to make any file play though the device and what software tools are worth downloading and using. 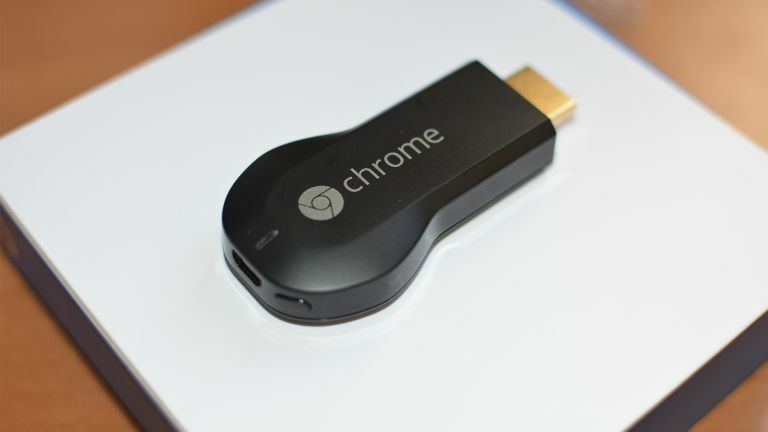 Some files, such as those in the MKV format, can prove problematical for Chromecast. Now that is not to say all MKV files won't play, but those that aren't encoded in the right way for the dongle will fall short. If you have many MKV files, one quickfix would be to rename the file from .MKV to .MP4. While this won't work for every file, it should ensure that you have less files to convert to a playable format. Like MKV files, there is a quickfix for some AVI files by simply renaming the .AVI file extension to .mpeg. This won't work for all AVI files either but may help. Another way to ensure video or audio plays correctly on your Chromecast is by using the Chromecast extension for Chrome. Simply download the extension from the Chrome Web Store and install it on your Chrome browser. Local files, such as AVI, MPEG, and MP4 can be played back without difficulty simply by dragging the file onto the browser window and then clicking on the Chromecast icon in the corner of the browser. Among the unsupported file formats for video that Chromecast won't play are MKV, AVI, Apple ProRes, MOV, FLV, VOB, DAV, MPG, MXF, AVCHD, WTV, WMV, ASF. Video convertors, such as Freemake and Any Video Convertor for Windows and MPEG Streamclip and HandBrake for the Mac can make short work of taking a file in one unsupported format and converting it for play on your Chromecast. Another tool is Wondershare Video Convertor. This provides a plugin called Media Server, which allows the user to stream both supported and unsupported audio and video formats to Chromecast. Another tool for converting errant file formats is VLC. It plays virtually anything you can throw at it, but unknown to many is its ability to convert most formats to something that can stream to a Chromecast device. To quickly convert a file on a Mac open the application, click on file and then click on Convert/Stream (On a PC, open up VLC, click on Media and then Convert/Save). In the New window that appears, you can drag and drop a media file you wish to convert, choose the profile (i.e. the format you wish to convert to – mp4 for example) and then click on Save as File. (again, this similar to Windows). Make sure the file is saved in a place where it can be accessed by Chrome or a Smartphone (such as a NAS device on the same network) and streamed to your Chromecast device. Is it second time lucky for Google’s streaming sensation?